Pete Ybarra of Fallbrook. Photo courtesy San Diego County Sheriff’s Department. A 78-year-old Fallbrook man missing since leaving for Santa Ana on Monday was found safe Tuesday in the Orange County city of Westminster. Pete Ybarra left his home around noon Monday and later boarded a northbound train at the Oceanside transit station, according to the San Diego County Sheriff’s Department. He disappeared after exiting the train in Santa Ana around midnight. 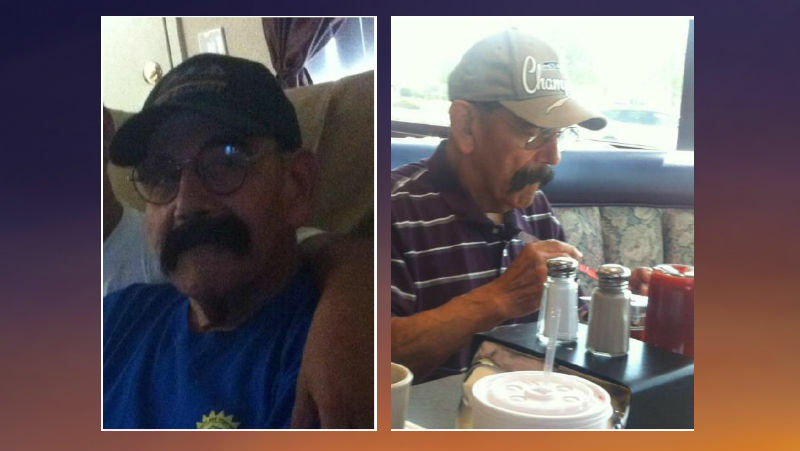 Ybarra did not have a cell phone and suffers from medical conditions that may have caused him to become disorientated, according to the sheriff’s department, which announced this morning that he has been reunited with his family.